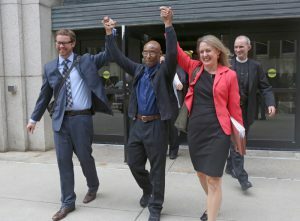 We identify and fight to overturn wrongful convictions across the state. 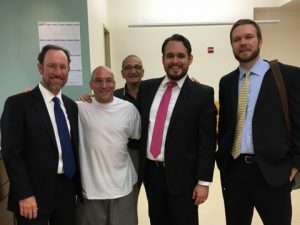 Our attorneys represent indigent state defendants who have been convicted and punished for crimes they did not commit. We accept both DNA and non-DNA based innocence claims, with special attention to cases involving eyewitness identification, flawed or invalidated forensic science, and false confessions. 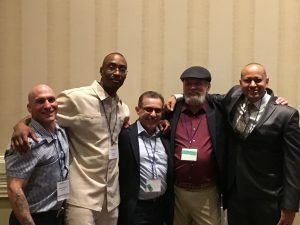 Need help with a Massachusetts innocence case? If you are an indigent defendant wongfully convicted of a Massachusetts state crime, you can apply for our assistance. Alternatively, current or former attorneys can refer their clients to us for help. The CPCS Innocence Program is part of the Committee for Public Counsel Services: the Massachusetts state agency tasked with providing lawyers to people who cannot afford an attorney. We are organized under the CPCS Private Counsel Division Criminal Appeals Unit. We also belong to the Innocence Network, a group of organizations from all over the world dedicated to fighting wrongful convictions. If you want to know more about the CPCS Innocence Program, contact our staff. Press inquiries should be directed to our director, attorney Lisa Kavanaugh. We regularly accept students for volunteer and internship positions at our offices in Somerville, Massachusetts. To get involved, please reach out! We are currently accepting applications for 2019 Summer Internships. Disclaimer: The CPCS Innocence Program is supported by Grant No. 2017-DY-BX-001 awarded by the National Institute for Justice. The National Institute of Justice is a component of the Office of Justice Program, which also includes the Bureau of Justice Assistance, the Bureau of Justice Statistics, the Office of Juvenile Justice and Delinquency Prevention, the SMART Office, and the Office for Victims of Crime. Points of view or opinions on this website are those of the author and do not represent the official position or policies of the United States Department of Justice.